When a film is being crafted, we are so involved in the process and the many details that go into orchestrating the final production that the days when we submit our film to festivals seems way in the distance. 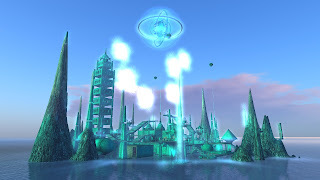 It is never that far away though, and we have been waiting for some results to come to announce that we have gotten Time Travelers 4 into some awesome places. Awards in the animation category. 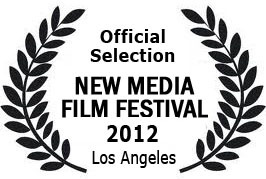 Accepted in Digital Comics, Animation, Trailers and Machinima category. 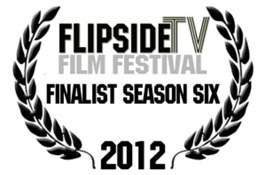 Selected to be presented in FILE Machinima. Film is for us the telling of a story in the best and brightest way we know how. We are thrilled that the painstakingly crafted films we do are also allowing us to transcend machinima categories and become accepted into animation ones. We will always be doing machinima, we use game engine platforms to film on of course, yet we are expanding our work to lose a categorical definition which in some cases doesn't matter. We make cartoon films and we do so with the highest standards. Top quality filmmaking, editing, a terrific story, compelling characters, wonderful sound and great graphics is what make these films sing! Stay tuned over the summer for more results, we just had to let you in on our good news! Thank you to all who watch, comment and share because we are spreading the word of the great work that can be done with terrific talent. 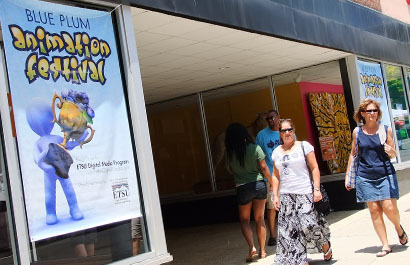 It is a new medium we are celebrating and one that fits into the genre of animation, we do it in real-time. 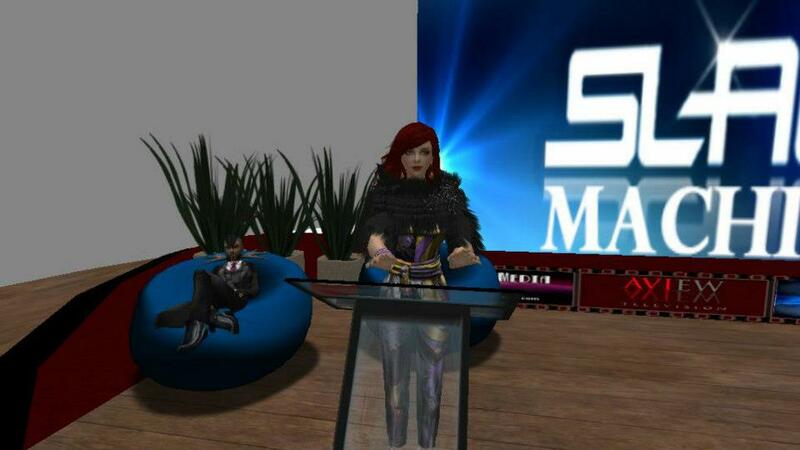 Machinima and real-time animation is an art form and more, it is a great storytelling genre. The ability to screen capture what is in a virtual 360 degree environment makes a lot possible for us as film and video makers. Using the Second Life engine as our animation platform means we utilize every nuance we can to craft our films. Public Safety and Health concerns are also our concerns, as parents and citizens. We have just finished working on a project which is our first Public Service Announcement (PSA) for the San Gabriel Valley Mosquito Vector Control District. This video will be shown in school auditoriums to help kids learn what they need to do to keep their home areas safe from the invasive Asian Tiger Mosquito. These school children will also be given sample kits to collect samples of water from around their home areas, which will help determine the extent of the mosquitoes' breeding. This mosquito has been seen in Southern California since last September and while not indigenous to the area, if allowed to establish, they could potentially spread disease and be a game changer for lifestyle there. They transmit a number of dangerous human diseases as well as dog heartworm. This is a community issue that requires community level support and participation. PookyMedia was given the task of creating a film to be shown in schools and using real-time animation, or machinima, we were able to give life to the characters, personalities and really show what kids will be required to do to help and participate in this important scientific study. It will also illustrate how to keep their home areas safe as well. We added music that would inspire and with the great unlimited creativity of Second Life and its creators, along with our PookyMedia team, have created a video that will hopefully teach and help eradicate this real and present threat to the great state of California. I have relatives and friends who live in Southern California so this was brought especially home to me. I am very very proud that our work will be a help to public health and safety for this nation. We share it with you and if you are in the Southern California area, now you know what to do - get rid of the standing water anywhere around your home! If the Technology didn’t exist, the moment would have created it. OnTheAir.com is on that wavelength. This is viewer call in with web cam application programming that gives us the chance to host shows with audience participation. In some ways it is like call in radio except radio doesn't need Hair, Lighting and Makeup. Being an avatar working in a virtual world, with camera ready features doesn't need that either. Log In Viewer Entertainment is something that resonates pretty deep with me, Second Life has given me a tremendous opportunity which might just be ready to port, so I'm going to try it out. 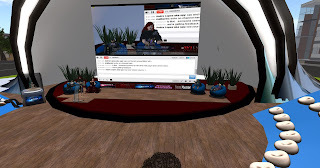 I am still doing the shows inworld, Real Life is just another platform. For those of you who know me, developing real time live action log in game shows is, the future of entertainment, as immersive game show, means you become part of the program. Here a community can also develop around the game and the brands which will eventually sponsor them. I am so convinced of this I am leaving my avatar on the grid and bringing my somewhat realer, definitely more imperfect self in front of the webcam for Yay Me or Nay Me, which originated as a segment from one of the shows I have running out of Second Life called The 1st Question on the Virtual TV network treet.tv. Having people compete for sponsored prizes has been part of entertainment beginning with Radio, which early TV picked up. One of the longest running titles on TV is the Price is Right, which has been going since 1956. People love to be involved in games and love to cheer on and sympathize with winners or losers. What we have seen grow over the past 6 years is proof that viewers love being doers. Sit back and relax has firmly become lean forward and engage whether in game or Social Media. Facebook, Pinterest, twitter, instagram. Got an image? A thought? Something to share on every and any level? Well there are a multitude of places where you can show and tell everyone just that. Crowd content, we are ready to take that next step and play within the program, even authoring our own shows. This offers sponsors unique opportunity which transcends liking or following or repinning. YouTube is proving this all the time. Playing within a sponsored challenge has to be more exciting. I am ready to go live to see if this is true. There is a lot of talk about what will TV be in the future? How will people shop through their TV's, or talk about what they are watching? What is Social TV? What is content everywhere, even on your Google glasses? I got tired of watching a long time ago. We are now at a new place to activate our own programming, and invite others to be part of it. And you can choose to actually “take the stage.” This is a perfect set up for contestants, fast easy and fun. Immediately gratifying and exciting. 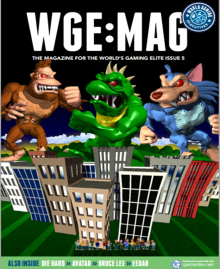 There can be no doubt that people love to play games – Us humans spend 3 Billion hours a week playing video and computer games, according to PEW. 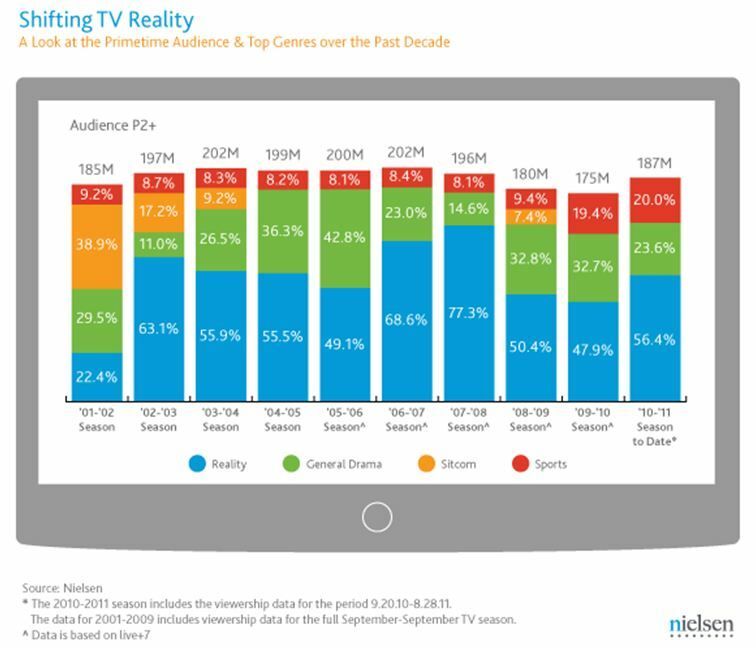 However these recent Nielsen numbers on TV viewing habits over the past decade were surprising. That is, how sitcoms have disappeared from the radar, is it possible that people would rather generate their own laugh-track (Or other appropriate sounds one makes when playing a video game) than listen to one? My guess is this significant casual entertainment segment has migrated elsewhere to being part of the action, not passively entertained. RealityTV is very significantly represented, which says that a whole lot of folks want to see people who aren’t the most beautiful and stunning doing things that involves real life challenges, like losing weight, instead of watching Friends. With the growth of Connected TV I think the future lies not in what you are watching. It's going to be what you are doing. And allowing people to take part in the programming is going to be what's next. Being part of this future through the avatar based game shows I have successfully developed towards “Merv Griffen of The Internet” now demands I step up to the tech that has just presented itself, or lose sight of the title. I just had to take this call. When you can watch yourself because you have just logged into a show and get swept up in live play, we are entering a new place for entertainment. This is a beginning, the curve just might have caught up with me. Hope to see you there.